Tom Woodcock, born and raised in Providence, was inducted into the Trainers Wing of the NHL Hall of Fame in 2003. Like Pete Demers, who was enshrined there four years later, he, too, was a talented disciple of Reds Hall of Fame trainer George Army. Tom’s journey to the Hall was more circuitous than Pete’s. He was a self-described ”rink rat” at the old RI Auditorium, which was then the center of the hockey universe in southeastern New England. He dreamed of being a player. He cleaned the Arena ice between periods for the reward of “ice time” and he became a great skater, good enough to be signed by the very team he admired. The Reds farmed Tom to the Eastern Hockey League, where he skated for several teams over several years. Eventually, he concluded that an NHL career was not in the cards. 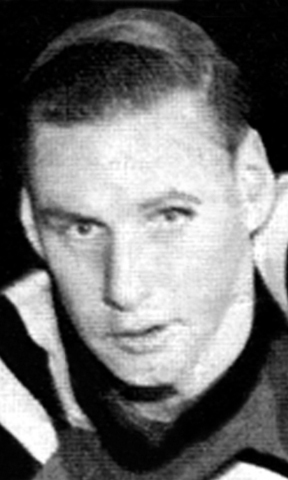 At the suggestion of Brown hockey coach, Jim Fullerton, Tom took classes at the University, which led to a position as assistant trainer for the Reds. When NHL expansion came in 1967, Bruins GM, Lynn Patrick, came calling to hire him as head trainer for the St. Louis Blues, a position he held for 16 years, including three trips to the Stanley Cup finals. In 1983, when the WHA’s Hartford franchise moved to the NHL, Tom was lured back to New England where he spent seven years. The final stop in his career took him to San Jose in 1991 when friend and RI’s own Jack Ferreira took over the GM reigns with the expansion Sharks. Tom’s final NHL training camp was his 40th. Over that time, he served in over 3,000 NHL regular season and playoff games.